The 2018 4A Boys Soccer State Championship will be decided between two teams located less than six miles away from each other. The North Marion Huskies and the Woodburn Bulldogs both advanced to the state finals on Saturday by winning their respective semifinal games Tuesday evening. The Huskies (10-4-3, 6-1-3 Tri-Valley ) will make its second state championship appearance in program history after upsetting the No. 1 Phoenix Pirates (14-1-1, 9-0-1 Skyline) 1-0 in Medford. North Marion won its third consecutive playoff game on the road after senior midfielder Andres Agabo broke a scoreless game in the 66th minute to put his team up 1-0 and send the Huskies to the state title game for the first time since the program won the 2014 championship. The No. 3 Bulldogs (16-1, 11-1 Oregon West) enjoyed a much less anxious trip to the finals with a 6-0 win over the No. 7 Madras White Buffaloes (12-4-1, 7-2-1 Tri-Valley). 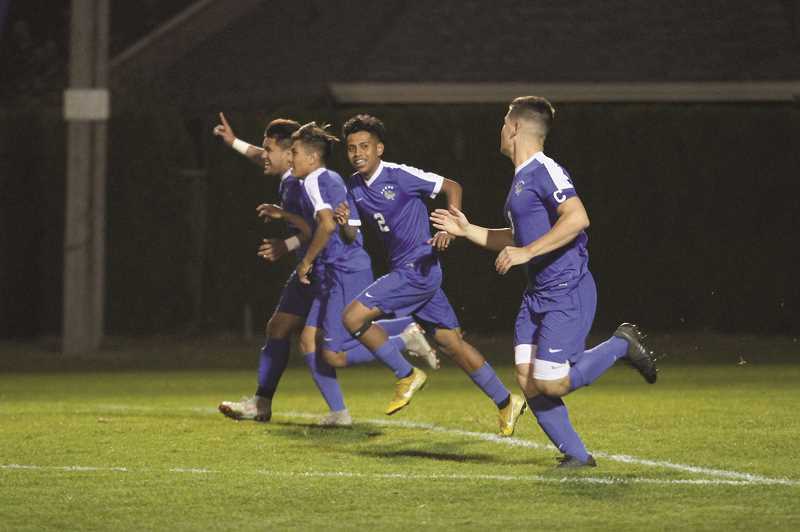 Woodburn scored the opening goal minutes into its semifinal against the Buffaloes and ripped off four goals in the second half to make its seventh championship appearance in the past nine seasons. The two teams will square off at Liberty High School in Hillsboro on Saturday at 6 p.m.
For more information on the championship game and the playoff bracket, go to http://www.osaa.org/activities/bsc/brackets.